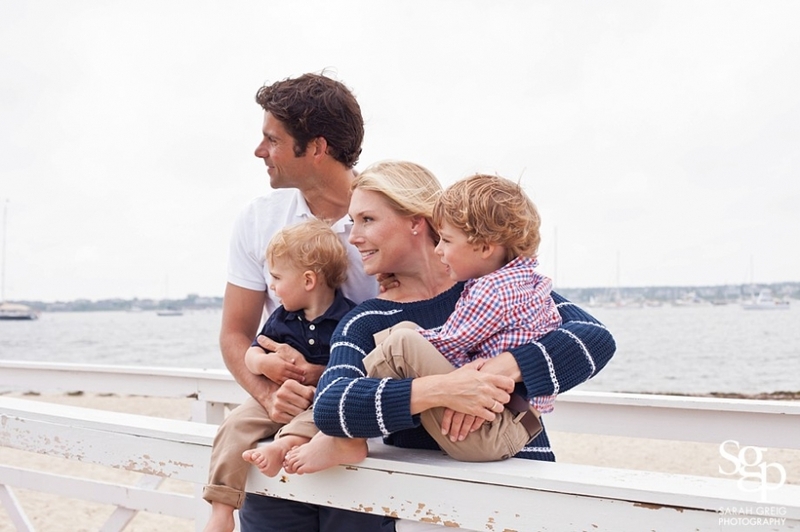 It’s been a fun month of photographing families on the beautiful island of Nantucket. I worked with this gorgeous family nearly 4 years ago in Washington, D.C. as we did newborn portraits for their oldest son. Time flies and now they’ve got another handsome little boy who is turning 2 in September. We planned a 7am session on their last morning on the island…yet our early morning meetup was postponed thanks to a foggy downpour. Morning and early evening weather on Nantucket can be sooo unpredictable, so I always obsess about the forecast on session days and pray for good luck! They were troopers (who doesn’t love texting with your photographer at 6am?!) and we successfully waited out the weather and squeezed our photos in before they returned to Colorado. -They chose a meaningful location for their family portraits. Matt and Brooke got engaged at Brant Point, so seeing their littles running up and down the walkway in the very same place where Matt popped the question was awesome. How amazing to have a landmark be a part of your story, and to be able to revisit it each year and see how much your lives have changed. I took a few photos of the boys standing by the railing, because it will be a nice benchmark to see how much they’ve grown in future images. -These boys didn’t stop moving, which made the session fast-paced, fun, and lively. Matt and Brooke pitched in to get some real laughs from Cal and Row, and put up with my jokes about crab and ladybug attacks. -Their mom brought quesadillas as a snack. 1) who doesn’t love quesadillas? and 2) I always recommend that parents bring a non messy snack, and these bought us a good 15 extra minutes once the boys were full. Thanks B! -Brooke also did a great job coordinating their outfits–they were the perfect mix of beach casual, and coordinated blues/whites/reds without being too matchy matchy. The All American feel was also a great nod to 4th of July week and the American flag at the lighthouse. If you’re looking for some clothing ideas for your beach session, see below! Have we met?! I haven’t blogged in ages! Life has been a little nuts since I had baby #2 last September, and I have a post to write about that and all of the craziness that followed, but it’s no excuse!! 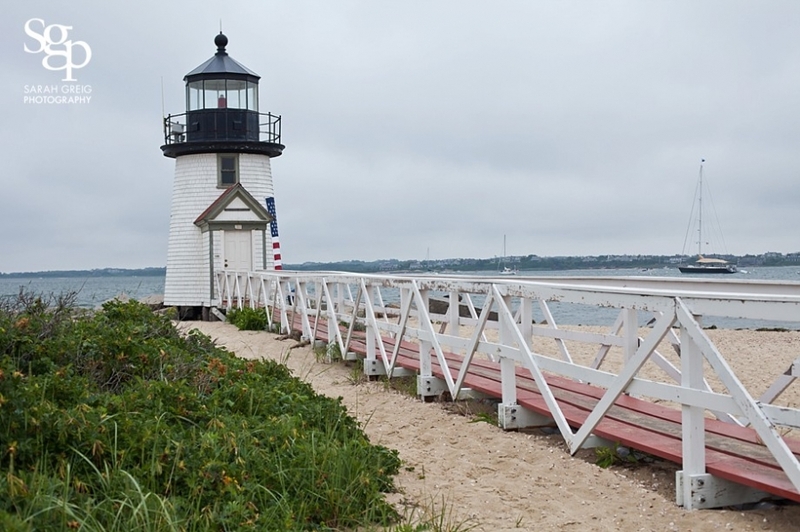 I’ll be back blogging and working more this summer as we head off of the city grid and up north to Nantucket. 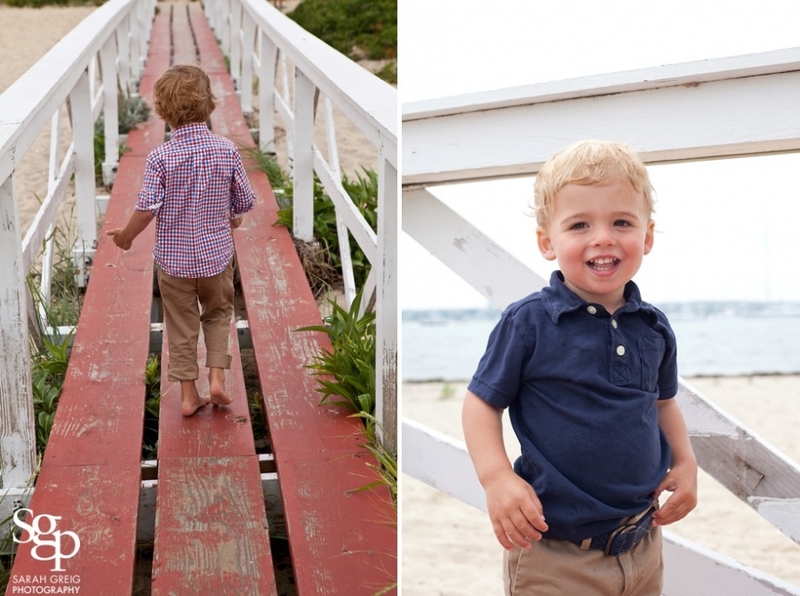 Speaking of, please get in touch if you’d like to set up a portrait session on ACK between July 2nd and August 7th. There are so many gorgeous spots to photograph on the island, and you can’t beat the backdrop of deep blue hydrangea, historic lighthouses, and amazing sun-kissed summer light. I’m only holding 2 sessions a day (early morning and early evening), so email now to get on the calendar as sessions book up quickly. Please read below and shoot me an email for complete pricing (from $450) and summer specials- I’m including some goodies when you book this summer! Four. My lucky number and now your age. I tucked you into bed last night, leaned down and inhaled your freshly shampooed hair, and told you this was your last kiss as a three year old. It’s so cliché; but honestly, where does the time go? As with every year, I wanted to share a birthday reflection with you and thank you for all of the happiness and chaotic joy that you bring to our lives. I know this is too long, but you’ve given me so much material to work with this year! It’s been four years (four years!!!) since that snowy day when you arrived by surprise induction at St. Luke’s on 59th Street. Four years since those early days of sleepless nights and our epic breastfeeding battle. Four years of watching you grow from a very bald, very blue eyed baby to a bubbling, spirited four year old FULL of personality who never stops running, jumping, talking, and laughing. It was a year of big moments–you finally (praise Jesus) conquered potty training, started a new school, and became a big sister. It was the year your baby nursery transformed into a child’s room. It was the year of your first sleepover, first time down a bunny slope, first trip to Disney, and first black eye (which resulted in your first scar). It was also a year of big physical and emotional changes. Looking back on photos, I can see that your face transformed from that of a toddler to a young girl, your white blonde hair turned much darker, and you continued to grow like a beanstalk. It was a year of developing your voice, which to our chagrin included more sass and attitude than we’d like. Your hands found their way to your hips with lightning speed when you didn’t get your way, and your slumped shoulder pout, aka “the Charlie Brown” as your father coined it, has become famous in our house. You are very easily frustrated, partially because you want to be “perfect” at everything, which worries me. You still need major work on sharing and cleaning up; but hey, we’re all a work in progress. It’s been a year in which you’ve grown independent, and it seems that you need me less. I receive shorter hugs and less hand holding and snuggling. Sometimes I can sneak the occasional back rub at bedtime, but lots of times you just want me out of your twin bed so you can have more room. I know I should be happy about this growing independence, but sometimes it stings that you need your space. But along with the challenges this year also came pride as we watched you grow and change. You are brave–you are the only one at swim class who leaps off the edge of the pool without any concern for your safety, you have no fear walking up to older kids at the playground and introducing yourself, and you are always willing to try new things. You are very adaptable–when your sister was hospitalized this past fall, you spent two weeks being shuttled from one house to the next, from friends to family. You even boarded a packed train with your uncle at Grand Central during rush hour–snack and iPad in hand–and rather than cry for us, you smiled about the adventure and went on your way. Earlier that month, you welcomed your new sister with open arms (frankly, we were expecting the worst). You altered your morning routine to tiptoe past her crib in the dark hallway en route to your breakfast (yes, your sister sleeps in the hallway). You’ve been flexible about the imbalance of time and attention that the new baby receives. You had a major life change and handled it admirably, and you’re a great big sister. You read stories to her, make her laugh, and like to show her off to your friends. Though you are adaptable, you also thrive on daily schedules, plans, and routine–“what did we do today? What are we doing tomorrow? How many days til X? how many days until Y?” You learned all of your letters this year and love to try to read to us. Your love of books has only grown, and every night you negotiate to read “just two more”. Your vocabulary continues to amaze me. There was an entire month this past year when you began every sentence with “actually…” and another month when you used a crazy voice and finished every sentence with a long drawn out “funny” which sounded more like “funaaaaaaayyyyyy”. You have a fierce love for hide and seek, kitchen dance parties, after school frozen yogurt dates, Eggos with “syriup”, pirates, tea parties, soccer, yoga, Anna/Elsa, and BINGO. You love making jell-o and pancakes (not together) with your dad, and playing barista every morning by adding sweetener and milk to our coffee (followed by intense stirring). You’re happiest painting masterpieces at the kitchen table, building entire worlds out of magnatiles, and “playing basement” in the ‘burbs. Your cousins mean more to you than anything else. You are competitive. This is no surprise as you are a combination of your father and me, two of the most competitive people on the planet (he even continually tells me how much bluer his eyes are than mine), but sometimes I worry about this inherited trait. Everything is a race or a contest, even walking down the hallway or up the stairs of our apartment. Just the other morning on the way to school, you challenged a complete stranger (age 3 or 4) to a race from 79th to 80th street and then jumped up and down with excitement when you beat him by half a block. I simultaneously cringe, laugh, and feel a small amount of pride about this trait of yours. It will come in handy for your future athletic endeavors but for now I wish it was less about measuring everything and more about just enjoying it. You love your city. You enjoyed living abroad last year but are happy to be back where the sidewalks are your territory, the parks are your yard, and the neighborhood restaurants are often your kitchen. You could be a tour guide at the Museum of Natural History. You have discovered Monet at the Met and the spiral ramp at the Guggenheim. You know the best sledding hill in Central Park and the coziest nook to read books at St. Agnes library. Your appetite is quenched by your local favorites: Shake Shack fries, plates of spaghetti (no sauce) at our local Italian place run by “the funny lady” as you call her, chick chick and milkshakes at Sugar and Plumm, and cucumber and rice at your beloved Sushi Planet. You love to get on the subway train and announce to the entire car “this is the 1 train, it’s LOCAL” or “this is the 2/3, it’s EXPRESS!”. You can point out stoops, brownstone, arches, and pediments like a pro. I love to observe you interacting with your city, and seeing your vision of it change as you grow older. All of these moments, memories, and observations mean one thing: You are excited by life. And we’re so happy to be a part of yours. Happy Birthday to my daughter who loves to dance on the kitchen table with sunglasses on. May the next 12 months be filled with more growth, excitement, and happiness. Happy Holidays! I’m thankful that I was able to record so many wonderful families and events this year. In honor of SMALL BUSINESS SATURDAY, I will be offering a rare 24 hour sale–your complete set of digital files at 50% off!! This sale includes all of the digital images from your 2014 portrait session for $325. Images will be delivered electronically for easy downloading. This is the perfect way to have all of your gorgeous images for personal printing and archiving forever and ever (and a wonderful holiday gift)! To take advantage of this 24 hour sale, please email sarah@sarahgreig.com. You will be sent an invoice, payable online by credit card by 11:59 p.m. on Saturday, November 29th. -Complete Collection of High Resolution Files ($750 value) available for $325. -24 Hour Sale is valid from 12:00 a.m. to 11:59 p.m. on Saturday, November 29th. Thanks for supporting small businesses during the holidays and please remember to Shop Small today! It’s a…GIRL! Two weeks ago my husband announced these words as our second child was born as the sun rose at 6:56 am on September 27th. My first thought was-WHAT? and my second thought was…OH NO. Of course I think that sisters are the best, but I was completely convinced leading up the birth that it was a boy. The “oh no” came from the fact that we had NO girl names that we both loved, and I knew we’d spend the next two days in the hospital stressing about what to name this tiny, perfect little being. And stress we did. Literally I felt sick to my stomach as it came down to the wire and we had to fill out the paperwork with the clock ticking during our check-out time. We have a photo of me looking pained as my pen hovers over the social security paperwork! Naming another human being is a BIG deal. Will their initials spell something weird? How many syllables go well with a one syllable last name? Are there nicknames (some good, some bad)? Does it reflect both sides of our family and our Irish/Scottish heritage? Is it popular now? Will it become too popular? (this is the kiss of death for me, having grown up as one of a million Sarahs). On the other hand, is it too weird? Does it go well with our other daughter’s name? Will it look decent on a resume or a sports roster? Does it sound too much like a law firm? What does it mean? (one Irish name we loved was out of the running because it meant “little dog” and I just couldn’t get over it–my husband thought I was being ridiculous!) So many names were dismissed because my husband and I both used to work at schools and now associate certain names with former students. But the questions go ON AND ON when you are stuck. Is it…too Southern…too hard to pronounce…too gender ambiguous…too unusual? Do our friends already have a child with that name and will they be mad if we also use it? After lots of stress, we finally settled on a family name–Farrell–my old middle name/mom’s maiden name, paired with a clearly female middle name–Elizabeth–which is both of my husband’s grandmothers and also my great-grandmother’s middle name…and there we had it. It’s Irish, the initials aren’t terrible, and it represents both sides of the family and part of my old name. I’m horrible at making huge decisions and then feeling good about them, so when the insurance guy on the phone couldn’t pronounce it (oh! like the singer- Pha-rrell!! ), or when people give me weird looks when I tell them the name, I cringe, but I’ll come around. We put a lot of good thought into it. And if she doesn’t love it, she’s always got her middle name. So, welcome to Farrell Elizabeth. Much like your sister, you are tall and skinny, and arrived into the world pretty quickly. You have hands that can already palm a basketball and feet the size of your dad’s. So far you are a lot of work and are giving us all a run for our money; but when you’re not eating or crying, you’re pretty darn cute. Do you have a name story? Do you love or hate your name or initials? Do share! !